Savvy entrepreneurs who want to “clean up” by buying into a proven residential cleaning franchise have a strong list of opportunities to examine more closely with these 15 best residential cleaning (maid service) franchises of 2019. There are relatively few national-scope house cleaning chains, but the residential cleaning franchise segment took in $864 million in 2017 – a figure that’s on track to keep growing as Baby Boomers continue to age and want more help with repetitive household chores such as cleaning. In addition to older folks, however, the ever-growing number of two-income households means busier people who don’t have time to waste cleaning their homes. The residential cleaning industry is not recession-proof and does experience contraction during economic downturns. As an industry, it is also vulnerable to customer loss if the services provided are not high in quality. It only takes one poor job to lose a customer forever. Building on the rising tide of environmental consciousness among consumers, many of the chains offer various kinds of “green” cleaning services. Several of the chains on the list are proud participants in Cleaning for a Reason, a non-profit organization that coordinates free house cleaning for cancer patients. 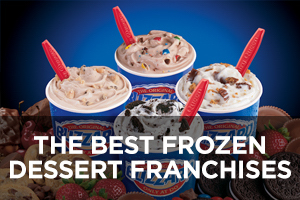 Seven of the companies have achieved rankings on Entrepreneur magazine’s Franchise 500 list. Merry Maids was founded by Dallen Peterson in Omaha, Nebraska. The company offers a full range of house cleaning services, including green cleaning, and a satisfaction guarantee backed up with a free re-cleaning. The company’s line of maintenance products, Shineffective, has been approved by the U.S. Environmental Protection Agency to carry the Design for the Environment (DfE) label, meaning it meets strict safety standards. The chain became a subsidiary of The ServiceMaster Company, which includes such brands as ServiceMaster Clean, Terminix, TruGreen, Furniture Medic, and AmeriSpec. 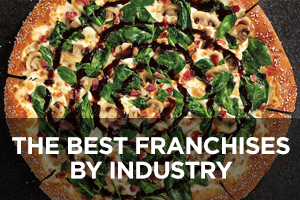 This company currently ranks #38 on Entrepreneur magazine’s Franchise 500 list. 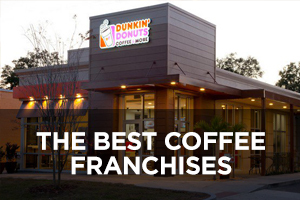 Founded in 1979 and franchising since 1980, the number of locations has continued to grow during the past decade from 1,459 in 2008 to the current total of 1,724, of which five are company-owned and 695 of which are located outside the U.S. The Maids was started in Omaha, Nebraska by Daniel J. Bishop, who previously had his own janitorial company, and he started franchising right away in 1980. He insisted on 4-person cleaning teams and bright yellow branded vehicles that got his business noticed. Services offered include occasional cleaning, recurring cleaning, seasonal cleaning (spring and fall), move in/move out cleaning, same-day cleaning, and special cleaning services. The company has come up with fun advertising messages that can be seen on its website. 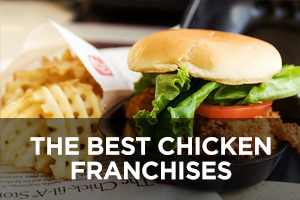 This company currently ranks #46 on Entrepreneur magazine’s Franchise 500 list. Founded in 1979 and franchising since 1981, the number of locations has expanded during the past 10 years from 1,059 in 2008 to the current total of 1,387, of which 144 are company-owned and 52 of which are located outside the U.S.
Molly Maid performs 2 million cleans each year, and 90% of those were for repeat customers. David McKinnon founded the company in Canada, but moved the whole operation to Ann Arbor, Michigan in 1984. It offers the standard array of house cleaning services and options, including green cleaning, though it does not adhere to any particular green cleaning standards beyond its own. 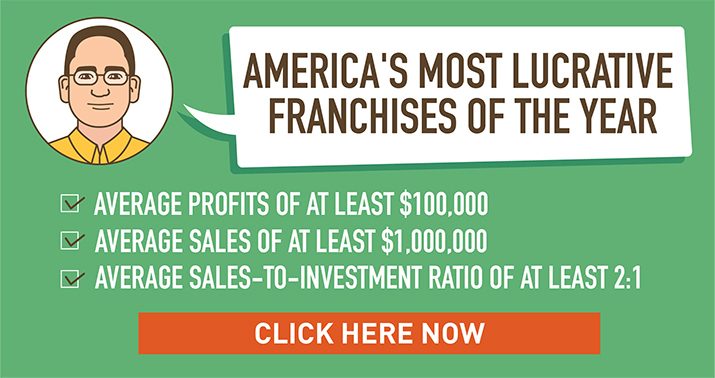 Franchisees benefit from its Neighborly program of cross-marketing opportunities through (its parent company) the Dwyer Group’s other brands, including Mr. Rooter, Protect Painters, and Glass Doctor. 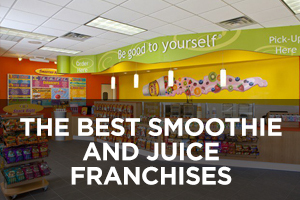 This company currently ranks #174 on Entrepreneur magazine’s Franchise 500 list. 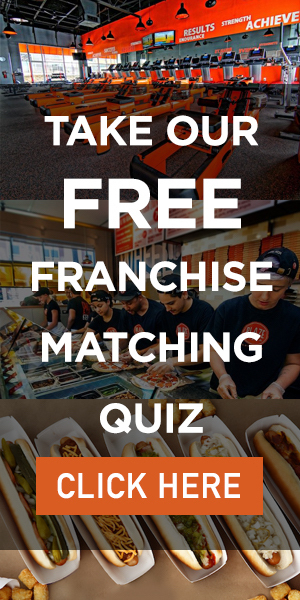 Founded in 1979 and franchising since then, the number of locations has climbed during the past 10 years from 421 in 2008 to the current total of 475, none of which are company-owned and all of which are located in the U.S. Maid Brigade dates back to the late 1970s and offers a full range of home cleaning services to customers. In 2007, it made a company-wide commitment to its Green Clean Certified system that includes products and equipment based on the standards developed by the independent Green Seal organization. It’s a detailed commitment and Maid Brigade explains its green cleaning standards very transparently on its website, making it one of the most environmentally-friendly options on this list. 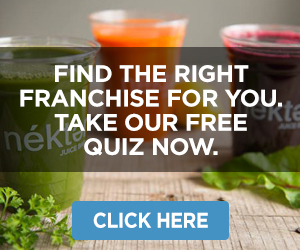 This company currently ranks #347 on Entrepreneur magazine’s Franchise 500 list. Founded in 1979 and franchising since 1980, the number of locations has declined in recent years from a recent high of 500 in 2011 to the current total of 447, none of which are company-owned and 82 of which are located outside the U.S.
MaidPro got its start in the historic Beacon Hill area of Boston by founders Mark Kushinsky and Richard Sparacio after Kushinsky had two bad experiences with cleaning companies that charged a lot for disappointingly poor work. MaidPro sits down with customers to build a cleaning plan that is tailored to their needs and budget. The starting point is the company’s 49-point checklist, which can be modified as needed to meet the customer’s needs. 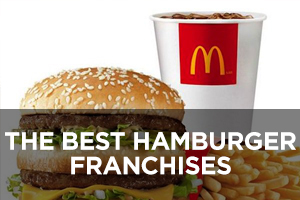 This company currently ranks #80 on Entrepreneur magazine’s Franchise 500 list. 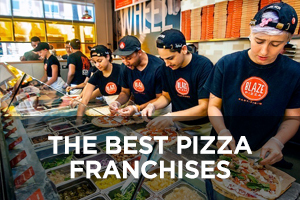 Founded in 1991 and franchising since 1997, the number of locations has steadily climbed during the last 10 years from 104 in 2008 to the current total of 252, only one of which is company-owned and nine of which are located outside the U.S. The Cleaning Authority was started by its original owners back in 1977 in the Baltimore-Washington metro area, but it was Steve Robinson and Tim Evankovich, who bought the company in 1989, who further developed it and started franchising in 1996. It uses its Detail-Clean Rotation System to make sure each of four home zones gets an extra deep cleaning attention at the right frequency. Its cleaning products are all environmentally responsible and sustainable. 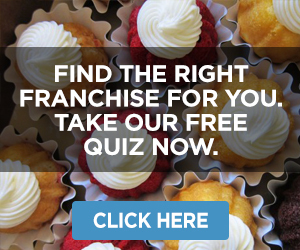 This company currently ranks #374 on Entrepreneur magazine’s Franchise 500 list. Founded in 1978 and franchising since 1996, the number of locations has expanded during the past 10 years from 180 in 2008 to the current total of 228, three of which are company-owned and 10 of which are located outside the U.S.
You’ve Got Maids was founded by Frank and Cynthia Berger, both of whom had grandparents who came to the U.S. as immigrants and got their start by becoming cleaners. After successful ownership of a Domino’s pizza franchise, they decided to create their own cleaning franchise and opened the first location in Orlando, Florida. The chain backs up its satisfaction guarantee with an offer to re-clean if the customer requests it within 24 hours of a clean. Among the usual cleaning services is its unique 52-point spring cleaning service. 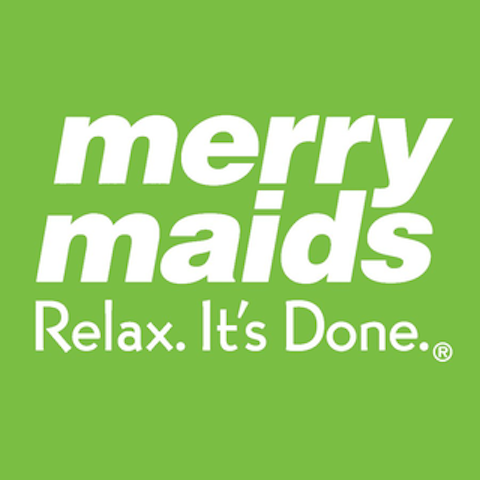 Founded in 2005 and franchising since 2010, the number of locations has expanded rapidly to the current total of 87, none of which are company-owned and all of which are located in the U.S.
Two Maids and a Mop was founded by Ron Holt when he purchased a cleaning business in Birmingham, Alabama and re-branded it into Two Maids and a Mop. His early innovation was performance-based pay for his cleaners, meaning higher customer ratings could reward cleaners with above-industry wages. He also created a 100-page guide on cleaning a home room-by-room to ensure consistency in the quality of cleaning customers receive. 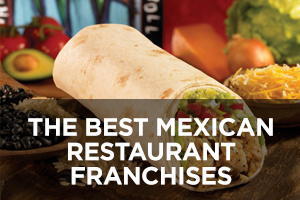 This company currently ranks #235 on Entrepreneur magazine’s Franchise 500 list. Founded in 2003 and franchising since 2013, the number of locations has reached 61, two of which are company-owned and all of which are located in the U.S.
Home Cleaning Centers of America got its start back in the 1980s by Mike and Jeanette Calhoon. The company offers a full array of home cleaning services using OSHA-approved cleaning products. Quotes for regular cleaning services require a short home visit. The unique business model here is that franchisees who prove to be successful at their home cleaning service can then expand into a multi-revenue operation that also offers carpet cleaning, office cleaning, window cleaning, and country club cleaning. Founded in 1981 and franchising since 1984, the number of locations has declined slightly from 37 in 2008 to the current total of 32, none of which are company-owned and all of which are located in the U.S.
Sears Maid Services has the unique advantage of carrying the Sears brand name, well-known and trusted by people for more than 125 years. Their maids are screened and background-checked very thoroughly, and each location is fully licensed, insured, and bonded. Besides one-time cleanings, customers can set up weekly and monthly cleaning services. The company also offers apartment cleaning, move-out/move-in cleaning, and intensive fall/spring deep cleaning services. The company was started in 1992 but didn’t begin franchising until 2014. The company website currently lists 30 locations and says it is here to stay and open to serve customers despite the recent Chapter 11 bankruptcy filing of the Sears company. Maid Right developed its Signature Clean program to offer comprehensive cleanings, medical-strength protection against germs and bacteria with its proprietary EnviroShield system, and improved air quality using HEPA filtration vacuums. It uses detailed cleaning checklists on every job with cleaning products that are non-toxic and safe for the environment. The Maid Right franchise model is based on the highly successful JAN-PRO commercial cleaning model. 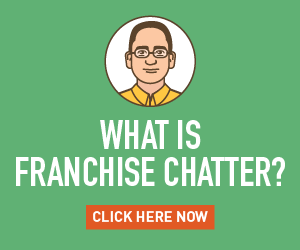 This is an owner-led model, which means the owner of the franchise is directly involved in the cleaning services. The company website lists 23 locations. TrueBlue Total House Care offers customers multiple services that include home maintenance, household repairs, maid service, yard work, emergency repairs, seasonal projects, and more, all of which can be purchased for a flat monthly fee or separately as needed. The services are geared toward two primary markets: seniors who need help and busy families. 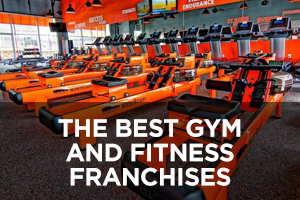 Co-founded by Gary Green and other franchise veterans in 2011 and franchising since then, the chain currently has 19 locations, a decline of six units from last year, none of which are company-owned and all of which are located in the U.S. Maid Simple gives franchisees the option to start out as an owner/operator who does his or her own cleaning at first and then later hires others to grow, or one who hires/manages maids from the start to focus on networking in the community. Each location offers a full range of home cleaning services without contracts, including eco-friendly and pet-friendly options. The cleaning plan can be adapted to meet a client’s needs and schedule. Founded in 2012 and franchising since then, there are now 17 locations, none of which are company-owned and two of which are located outside the U.S.
eMaids got its start in New York City (Brooklyn) when Miriam Kahn noticed there was a serious construction boom taking place that was putting up lots of new high-rise apartment buildings. She wondered who was going to clean all those new apartments and decided to start eMaids. The company uses its website to make booking appointments very easy, and treats clients like family with a 24/7 answering service. It uses non-allergenic cleaning products, but has found it’s the cleaners who value “green” cleaning even more than the clients. Founded in 2004 and franchising since 2010, there are now 10 locations, three of which are company-owned and all of which are located in the U.S.
Freedommaid takes a unique approach to house cleaning summed up in their motto: We don’t sell cleaning. We sell freedom! The company provides a full array of flexible and highly-personalized cleaning services that give clients freedom from repetitive household chores. It focuses on building long-term relationships and getting existing clients to refer new clients to the company from their social networks. The company claims its unique business model results in more repeat customers compared to competitors. The company is located in Meridian, Idaho, and services clients in Boise, Meridian, Eagle, and surrounding areas. Founded in 2008, the company announced its franchising program in 2016. As of now, there is still only one location. Is this list in order of best to next-best? …or in no particular order? 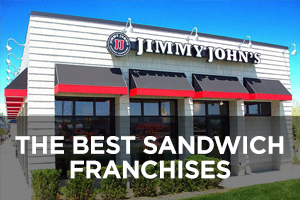 These franchises were ranked by number of units.